The housing crisis in the Bay Area has reached Concord. 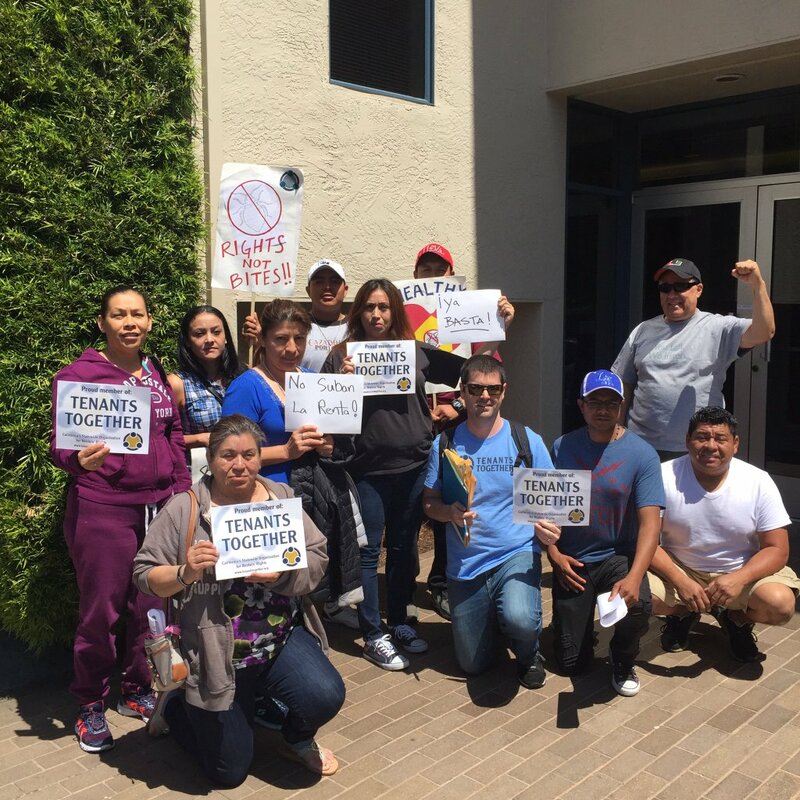 Last month tenants at 1127 Virginia Lane organized a rent strike with Tenants Together and refused to pay a 30% rent increase from their property management company, The Pinza Group (run by Steven Pinza). In response, the owner of 1127 Virginia Lane, Bodhi Family Investment, LLC, withdrew the rent increases and Steven Pinza will no longer be managing the property by the end of this month. On the heels of this victory neighboring tenants at 1120 Virginia lane and 1760 Diane Ct are joining their neighbors in refusing to pay 27-30% rent increases from the same Steven Pinza. While Pinza will no longer manage the 1127 Virginia Lane property by the end of the month, he is continuing to harass and attempting to illegally enter the units of tenants. In response to being contacted by the City Council about the rent increases, Pinza told Concord council member Edi Birsan, that, “The tenants are free to move out if the wish.” Pinza recently emailed, called, and texted landlords and property managers in surrounding buildings asking them to raise the rent. Pinza is a slumlord speculator that must be stopped for the health of the community. Gentrification and displacement happening in San Francisco and Oakland is now being felt in Concord, and the Pinza group is contributing to the housing crisis. For months, tenants have requested repairs to heating and plumbing and to address bed bug and rodent infestations. Pinza refuses to make the necessary repairs but expects tenants to pay additional rent. Almost all of the tenants at 1120 and 1127 Virginia Ln, and 1760 Diane Ct are Latino and primarily Spanish-speaking. These communities are disproportionately targeted for unfair evictions and rent increases because landlords think they won't fight back. They are wrong. The Pinza Group's office is in Walnut Creek and the tenants live in Concord. Tenants are gathering in Concord today and going to Walnut Creek to put Steven Pinza on notice. Tenants are demanding no rent increases and to make repairs now.